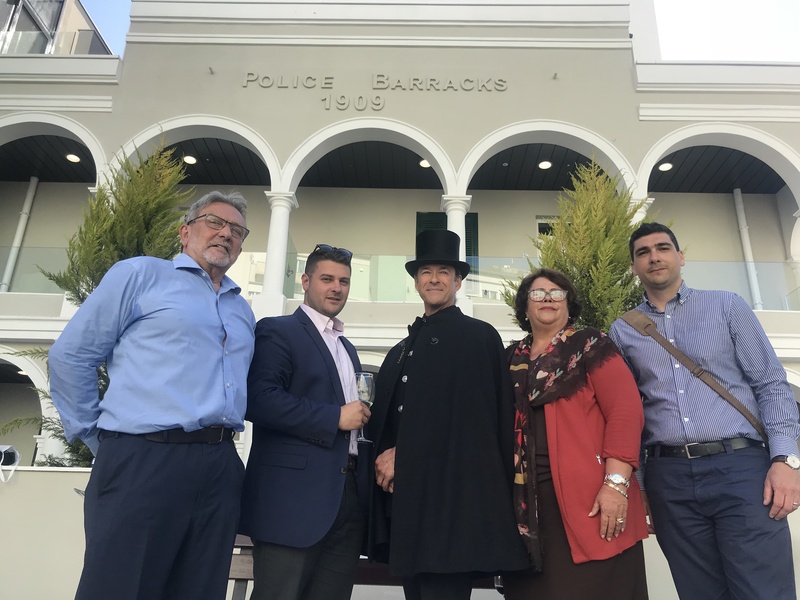 The Inauguration of The Arches was celebrated on the 14th May 2018 - this development which has been beautifully restored and fondly known as The Old Police Barracks aptly renamed The Arches now forms part of Gibraltar’s regeneration Upper Town Scheme. This iconic arched building circa 1909 offers views over the roof tops towards the Bay of Gibraltar and across the Straits towards the majestic Jebel Musa. The existing buildings have been preserved and regenerated to a very high standard. Features such as 2.80 m high ceilings have been retained, whilst interiors have been fitted to a high finish offering modern living spaces. Boasting communal outdoor green areas the complex is sure to be the first of its kind, setting the bar for future regeneration projects undoubtedly making the upper town the place to be. BFA Estate Agents as one of the Joint Sole agents to market The Arches would like to congratulate the Developers Cimco for an amazing refurbishment which has been our pleasure in selling with a local passion. One Commercial Unit available, for further information please contact us.